Spiritual Counselin g is exactly what we teach and do at Christian Leadership University. To us, Spiritual Counseling is when we are able to interact with the Holy Spirit, we are touched by the Holy Spirit, we are able to bring the Holy Spirit into the counseling session and we can release the Holy Spirit into our lives to heal. When I counsel people, it’s all inner healing and deliverance. When you cast a demon out, it’s releasing the power of God to set their heart free of a demon. When it’s inner healing, you’re letting Jesus walk into the situation and bring healing. 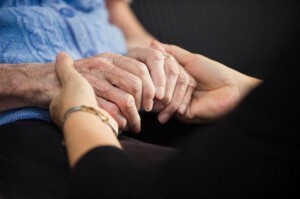 Spiritual Counseling can bring healing, as was evidenced by my work with one particular woman. Ten years ago she began her battle with breast cancer. And, of course, then she gets breast cancer. So we did inner healing. You can call this Christian counseling or spiritual counseling, but here’s what we did, and it was great! And then she began sharing with me what Jesus was saying to her. She’d already taken our course Communion With God, so she could hear God’s voice and see visions, As she told me what happened, I just typed it out, and God gave her a beautiful vision. He showed her anger and bitterness that was in her heart towards her daughter-in-law for “taking” her son to another part of the world. We prayed and we repented the anger and bitterness, and I had her see her daughter’s face in the prayer time and I said, “I want you to say to her, ‘I forgive you and I release you and I honor you and I bless you,’” and she did. A hurt is healed when you can see the gift that God’s produced in your life through it. He showed her the gift. He said, “The fact that your son is there, he’s had a chance to get away from some of his friends back home, which he needed to get away from because they were not good influences on him, and he’s had a chance to move into ministry to a much greater capacity,” (because he’s training right now for ministry and functioning in ministry, to a much better capacity than he ever would have back home.) She saw that for the first time. She needed to do this because the anger and bitterness, of course, produced breast cancer and it’s now gone to her bones. She had bone cancer. So, she signed up with us for a course on healing, and I’m her mentor, and we’re going to see if we can’t get her free of bone cancer. And I’m sure we can, because your disease in your body begins with dis-ease in your soul. We already located the foundation of the dis-ease in her soul and we found the first step of the healing process. And she listed two other areas for me which also produce great dis-ease in her soul, and we’ll pray about those next time we get together on the phone, and we’ll work our way through all three. For this woman, it’s important that from this day on, she look at the new picture that God just gave her and never the old one. That’ll produce a stream of light, not a stream of death, and it’ll bring healing to her body. So, that’s all spiritual counseling, because I drew her into interaction with the Holy Spirit and with Jesus, He ministered grace and set her free, He healed her heart, and as a result will heal her body too. That’s my definition of spiritual counseling. We teach that in our course Prayers to Heal the Heart and Communion With God, Counseled by God, and Christian Dream Interpretation.